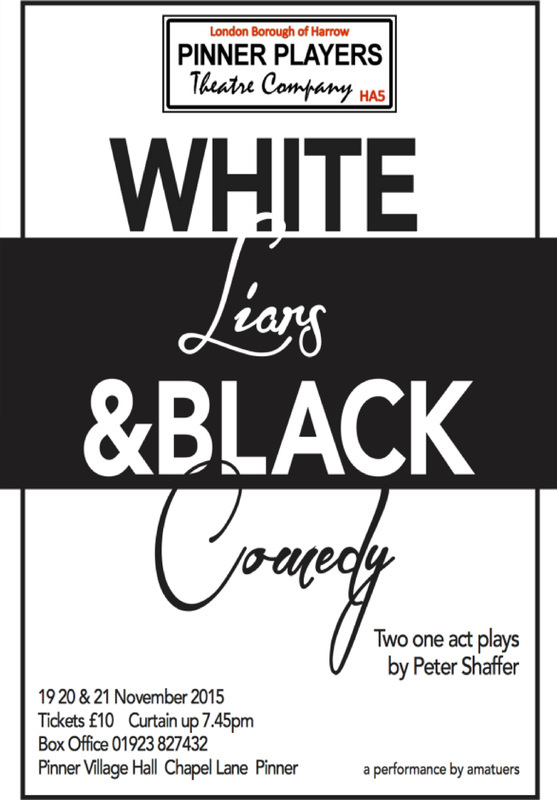 White Liars is a thoughtful piece about an eccentric seaside fortune-teller who is visited for a professional consultation by two young men: Tom, a singer in a pop group, and Frank, his manager. In private consultations Frank says Tom is trying to lure away his girlfriend while Tom paints a very different picture. The play gradually reveals that all their stories - including that of the fortune-teller - are based on lies. In Black Comedy, in one hilarious Act the stage lighting is reversed and is the exact opposite of what the audience would expect. When the stage is illuminated it means that the actors are in the dark and cannot see anything, and the opposite occurs when the stage is dark, leading to much comic confusion all round. Lovesick and desperate sculptor Brindsley Miller has tried to improve the appearance of his London apartment by borrowing valuable furniture and antiques from his neighbour and friend Harold Gorringe, but without Harold's permission. He has done this to impress his fiancee's pompous father and a visiting wealthy art collector. Unfortunately a main fuse blows, the flat is plunged into darkness and Harold unexpectedly returns. Unwanted guests, a highly strung spinster, errant phone cords and other mishaps impede Brindsley's frantic attempts to return the borrowed items before light is restored. "It's P.E. now - Patience Exhausted. If you think I'm going to let my daughter marry a born liar, you are very much mistaken"